2012 was an awesome year for The Web Development Group. incorporated NBA Jam Sessions as a part of our weekly strategy meetings. Working in the creative zone of Old Town, Alexandria has given us the perfect environment to thrive and evolve. 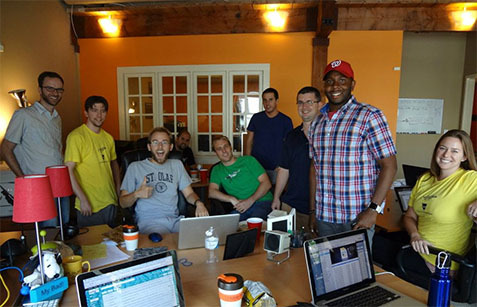 Our breezy, lofty space, located right by the Potomac River, has seen its fair share of Meet-Ups, charity code sprints, grilling sessions for lunch, and of course some amazing, fistpump-inducing work. Within these first 12 months, we are proud to say the DC/local tech community recognizes WDG for our intense focus on rockstar functionality and creative designs! 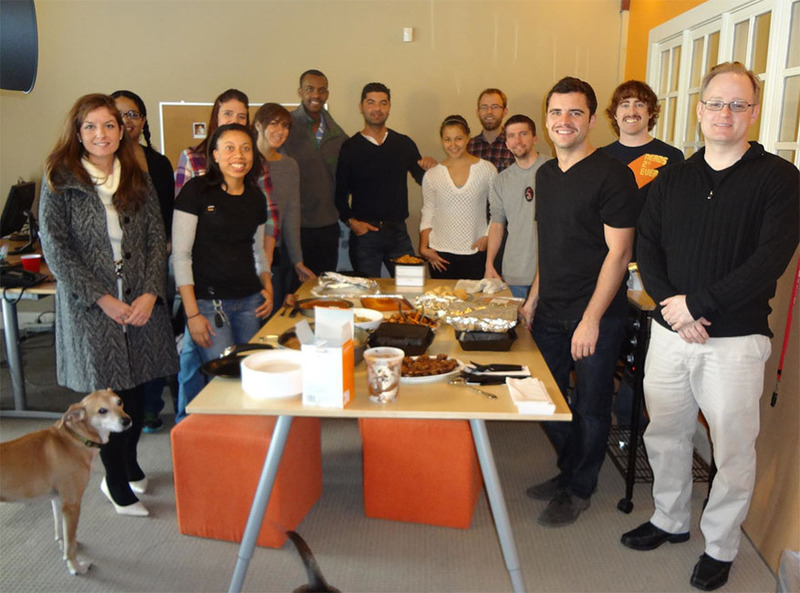 WDG also hosted its inaugural creative charity sprint, GiveBack DC, this past fall. The purpose of this event was to build a new web presence for three local nonprofits. Nearly 40 nonprofits applied while over 70 of DC’s most creative talent applied to participate. The three selected nonprofits were: DC Diaper bank, Borromeo Housing, and Phoenix Bikes. The 30 selected volunteers represented a sample of the best designers, developers, and content strategists in the DC area. All three sites were built within a weekend full of design and code sprints and enthusiastic, creative volunteers! 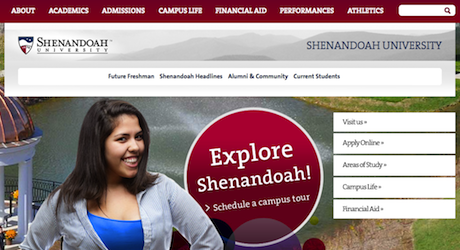 The fall of 2012 also found WDG successfully launching their largest, most complex site to date for Shenandoah University. SU (www.su.edu) was custom designed and developed all in-house. This site incorporates WordPress’ multi-site, allowing individual school departments to be housed under the SU.edu umbrella, while maintaining their school’s unique personality. So what’s next for us, you ask? Expansion! We are thrilled to announce that walls will be coming down and our creative work space will be doubling in size, and then some! With this new and improved space, we plan on welcoming more talent in the form of new designers and developers (yes, we are hiring!) Stay tuned for more information regarding our professional growth (both in projects and space)! With the start of a solid year ahead of us, we would like to start 2013 by thanking the DC community for providing WDG with the talent, resources, and inspiration, all resulting in a very successful 2012. We have worked with amazing businesses and organizations as well as networked with genius local talent. From Capitol Camp to GiveBack DC, we are happy to be making our mark.